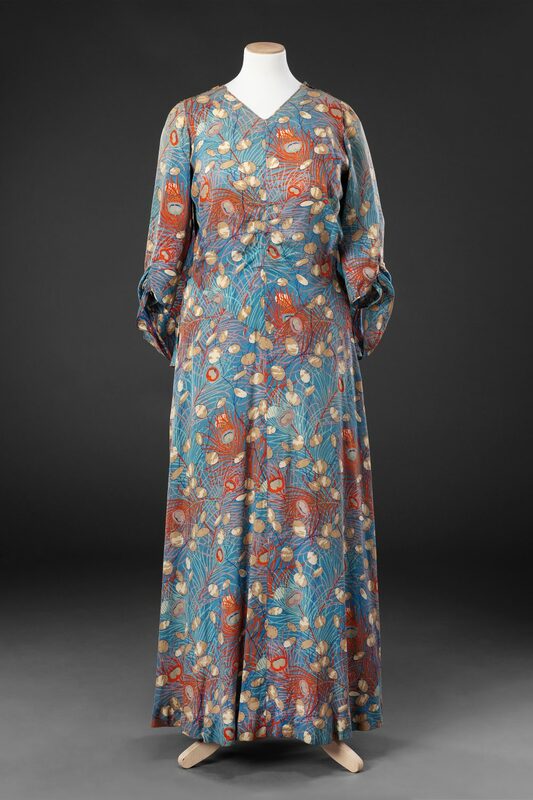 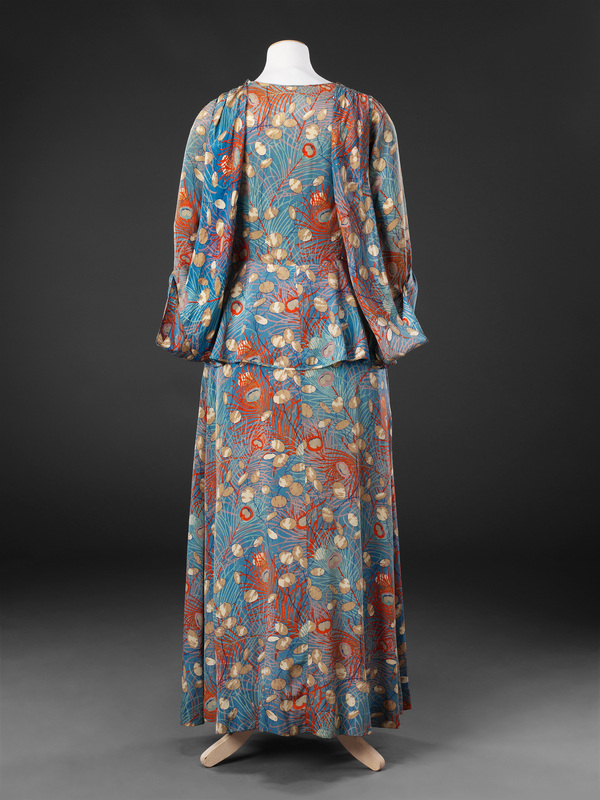 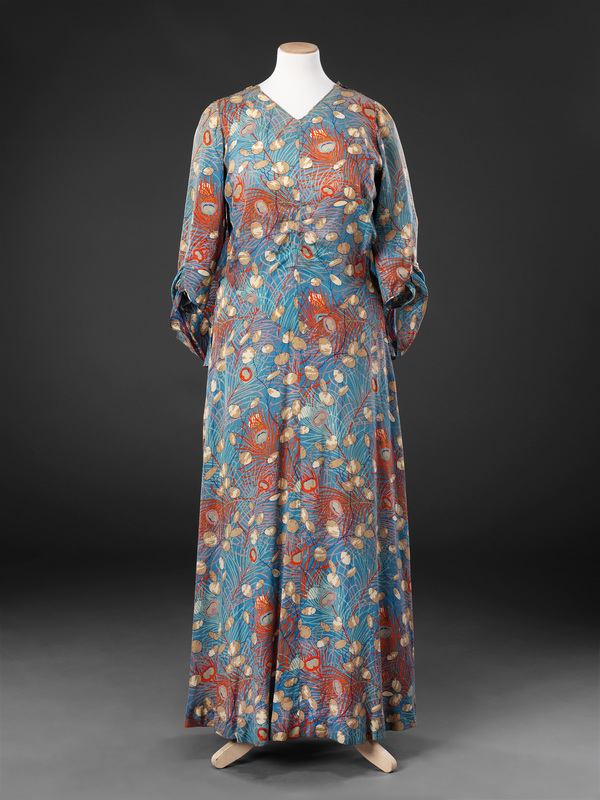 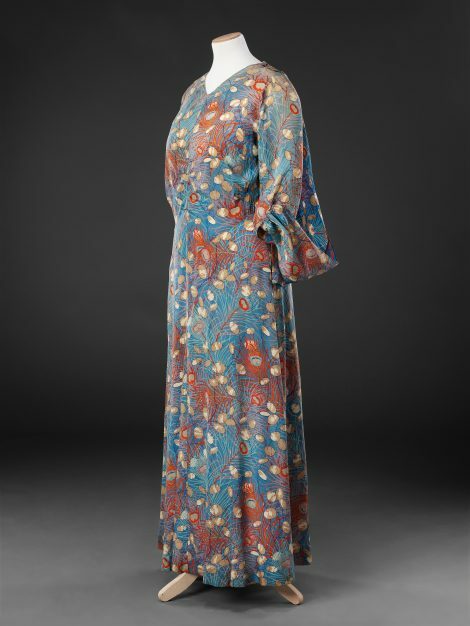 This dress and the ‘Related items’ are made from fabric printed with the design ‘Hera and Honesty’, also known as ‘Peacock and Honesty’, which was registered by the company of Liberty & Co. in 1926. It was named after Hera, the Greek goddess of women and marriage, with whom the peacock was associated. 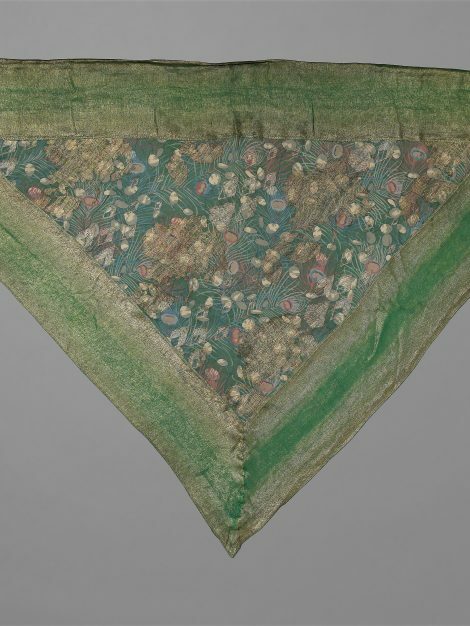 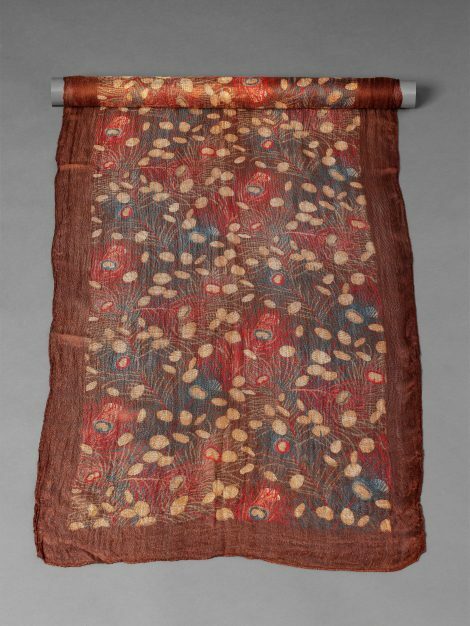 The peacock feather motif, a favourite of the Aesthetic Movement, had already featured in the Liberty’s textile designs from the late 1880s.